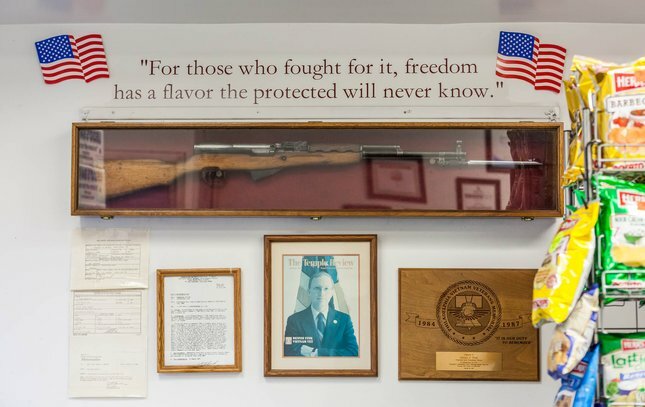 A Russian SKS rifle, complete with bayonet, hangs on the wall at Fink's in Tacony, a token from owner Dennis Fink’s days in Vietnam, won after a battle in the jungle that he survived and its previous owner did not. 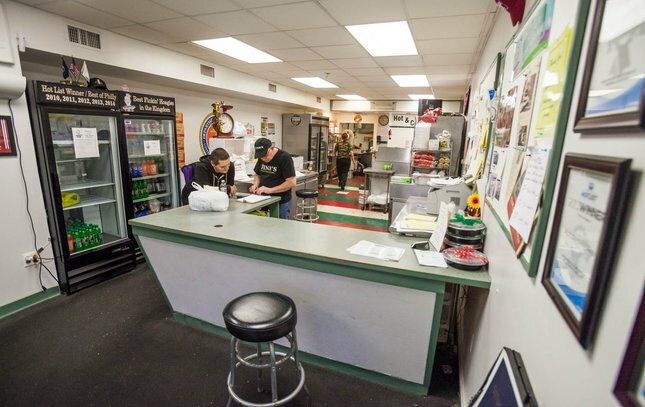 The inside of Fink's Hoagies, 4633 Princeton Ave., in Tacony. 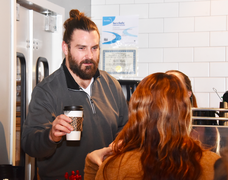 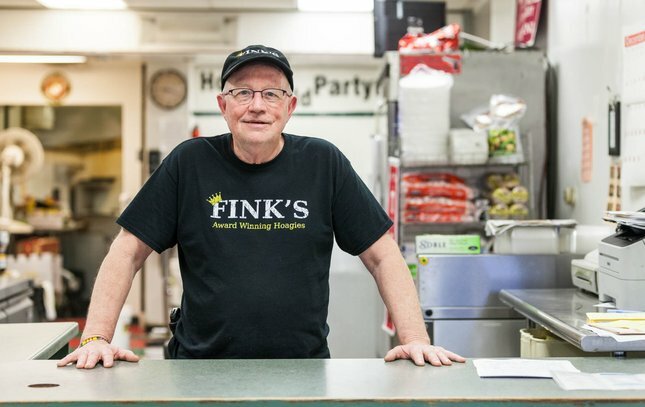 Dennis Fink, owner of Fink's Hoagies, at the counter of his Northeast Philadelphia location. 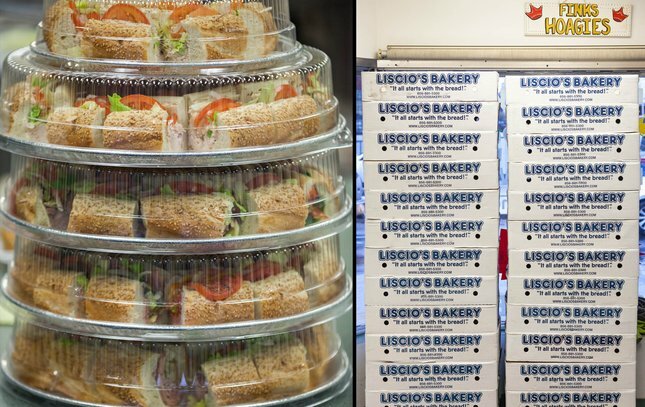 A hoagie party tray, left, and empty boxes from a day's worth of Liscio's seeded rolls. 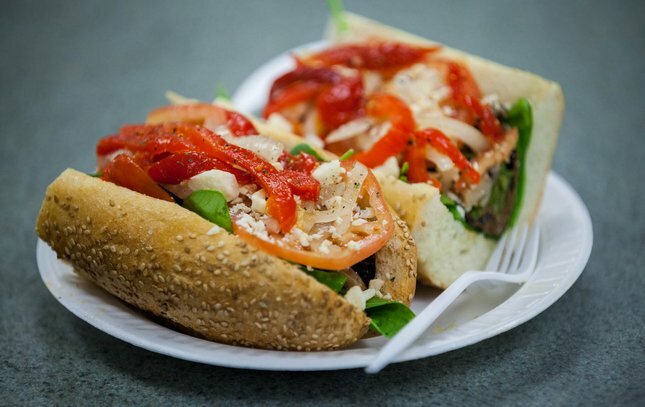 The "Gourmet Veggie" hoagie at Fink's consists of roasted eggplant, mushrooms, asparagus, fresh baby leaf spinach, tomatoes, onions, roasted sweet peppers, sharp provolone, oil and vinegar and special seasonings.